Hewlett Packard Enterprise wants to make it almost as easy for production managers to deploy new software to the factory floor as to their mobile phone. Its idea is to simplify the task of integrating new manufacturing execution systems with legacy ERP and PLM (product lifecycle management) systems using cloud-based deployment tools. To do that, it plans to put modern hardware on factory floors, hooking it up to a cloud-based app store -- like a mobile phone for the factory, only bigger, as HPE Fellow Colin I'Anson put it. Such a move would give production managers access to the latest IoT, machine learning, augmented reality and analytics technologies, potentially allowing businesses to create so-called "digital clones" of every item they produce. These models record everything that happens to an item as it moves along the production line, and can help with inventory management, quality control, and rework of defective items. That said, around two-thirds of the initial 60 apps in the store have nothing to do with IoT, according to I'Anson. "They are about how you run your factory," he said. IT managers fearing that a factory app store could lead to an uncontrolled outbreak of credit-card cloud computing in a critical area of enterprise infrastructure have several reasons not to worry. For one thing, although deployment of the applications begins with a visit to the Express App Platform -- Manufacturing aisle of the Cloud28+ enterprise app store, the apps deploy and run not in the cloud but on premises, in a rack full of HPE Simplivity 380 hyper-converged servers. These can sit either in the customer's own air-conditioned server room or in one of HPE's modular data centers. 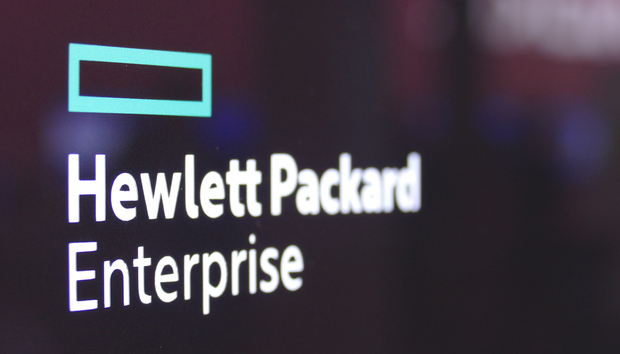 Hewlett Packard Enterprise says deploying a new manufacturing execution system from the Express App Platform -- Manufacturing store can be done with just six clicks. Another reason IT workers shouldn't fear being sidelined is that HPE wants to work through enterprise IT departments, not around them. When those Simplivity servers are first set up, they are going to need internal IP addresses and network ports, and the apps they support will need access to existing corporate systems if they are to fulfill their promise. There's a lot more to getting the apps up and running than the "six clicks" HPE says it takes to deploy them. After that, HPE hopes to keep IT and manufacturing staff out of one another's hair. "The competence in a manufacturing department is at the system level. They will understand how to connect applications together; they will not understand the complexities of deploying an app into a manufacturing environment, and making sure that the right patches or whatever are actually in that box," he said. HPE is offering to take on that ongoing patching and maintenance activity. "We'll put it in with three or five years of proactive support, so you don't need to be fiddling with the IT systems inside for that period of time," he said. "Its availability is better than that of the factory systems it's supporting." Integration and support will be taken care of by Pointnext, the new name for HPE's technical services group. Despite recently selling off its enterprise services group to CSC, now DXC Technology, HPE still has around 25,000 service staff worldwide. Going forward, HPE hopes to have not just IT teams on its side, but also the creators of factory tooling. I'Anson envisions a day when a factory can be fitted out with a new production line and a rack of HPE servers to control it, onto which the necessary software can be downloaded, pre-configured by the tool maker itself.